The 160th Special Operations Aviation Regiment, better known as the Night Stalkers, is home to the world’s best helo pilots. 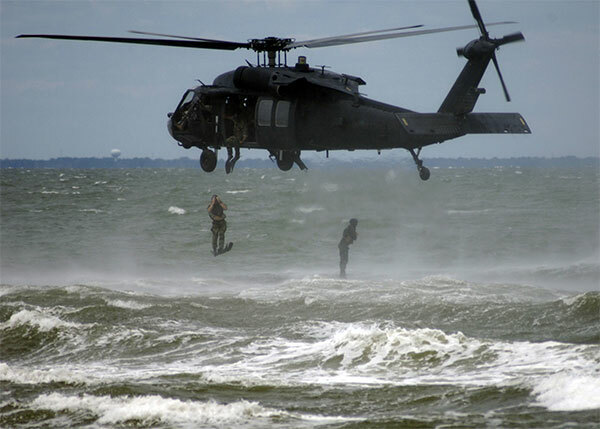 Originally formed as an aviation-support element to US special operations forces after the 1980 failed attempt to rescue American hostages in Tehran, the Night Stalkers have the most professional and accomplished pilots in the Army, flying their Blackhawks, Little Birds, Chinooks, etc. From their activation in 1981, the 160th SOAR (A) has taken part in operations around the globe including Operation Urgent Fury in Grenada, Operation Just Cause in Panama, Desert Shield and Desert Storm, and Operation Gothic Serpent where they were brought into the spotlight after two of their Blackhawks were shot down by Somali militiamen with multiple rocket propelled grenades. Recently, Night Stalkers provided aerial insertion and cover for the raid on bin Laden’s compound in Pakistan, in 2011. A good deal of what they do is kept from public knowledge, as they are an integral part of the special operations community. Recruiting standards for pilots and crewmen are extremely stringent, and the training is very intense. Officers (pilots) go through a 20-28 week course after being selected. Further testing is required before a Night Stalker can be designated Fully Mission Qualified. Their nickname tells you a little about what they’re all about. The Night Stalkers use the advantage of the dark. The night is their cover, and allows them to insert special operations forces covertly, quickly and then egress the area without the opposing forces even knowing what went down. 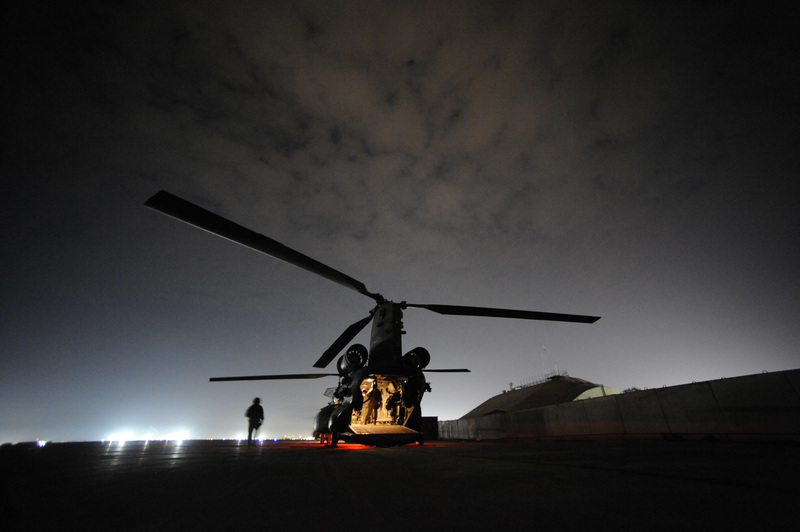 They are the best, brightest and craziest helo pilots the world has ever seen; their motto: Night Stalkers Don’t Quit. You can learn a little more about the 160th SOAR (A) and their exploits from one of their former pilots, CWO4 Michael Durant, US Army (Ret), who was piloting Super Six Four on October 3rd in Mogadishu, when an RPG rigged for air-burst took out his tail rotor. The subsequent crash, the insertion of two brave Delta Force snipers Randy Shughart and Gary Gordon (who gave their lives to protect Durant and the mortally-wounded crew against a force of hundreds of militia; they were later awarded the Medal of Honor for their awe-inspiring courageousness and willingness to die for their brother soldier), and the capture of Durant by the Somali militia, is detailed in his book, In the Company of Heroes. It’s a personal favorite of mine, and it’s highly recommended! Good article (great images). You’d probably like the article I did with some of the 160th on their challenge coins (http://wp.me/p2MYOf-fo).